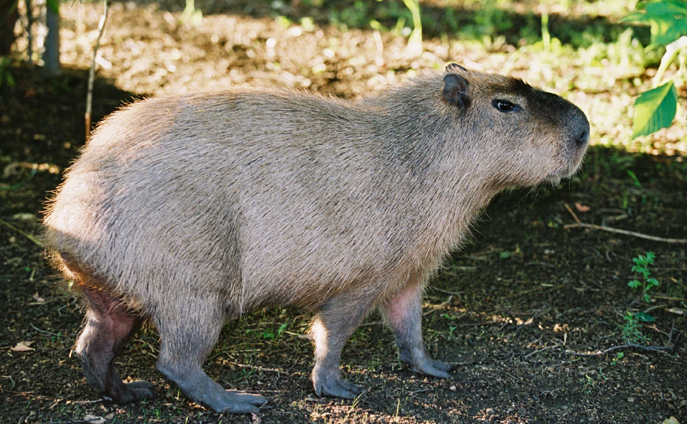 Capybaras are the world’s largest rodents and live in groups of 10-20 animals. They dive into the water for safety from their enemies. They communicate with each other through barks, whistles and grunts. The bump on their nose releases a scent that biologists believe is used for marking territory or communication.